Separated from Germany and Austria-Hungary by the fall of Bulgaria, Turkey too is on the brink of requesting an armistice from the Allies. Meanwhile the Allied advance in Syria continues. Damascus has already fallen and now the British take Aleppo. From here they will be able to press on into Turkey’s Anatolian heartland should the war continue. 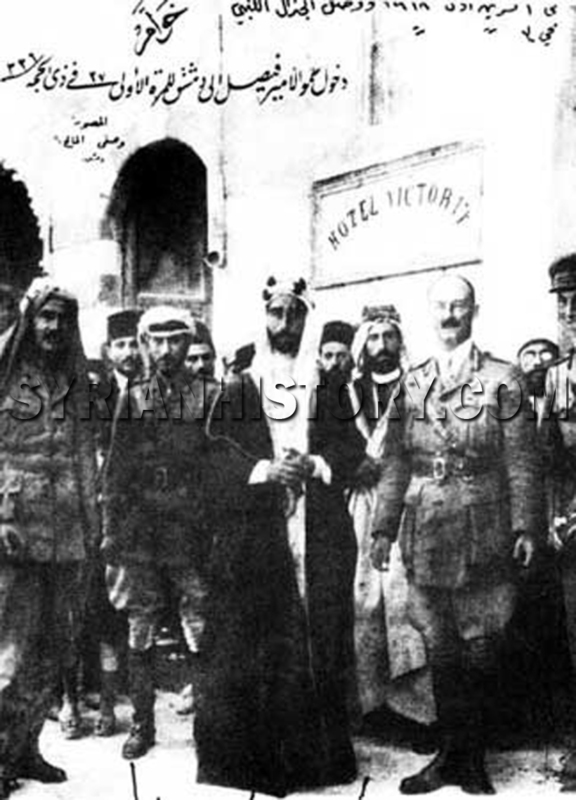 The people of Damascus are still celebrating their deliverance from Turkish rule, though incidents of looting carried out by Bedouin followers of the Arab army may have dampened the mood somewhat. Now Emir Faisal arrives, intent on staking his father’s claim to the city as capital of the Arab kingdom promised by the British. After riding triumphantly into the city on horseback, he meets Allenby in the Victoria Hotel. The two have not met previously. It is not a meeting of equals, Allenby disabusing Faisal of any notions he might have developed. 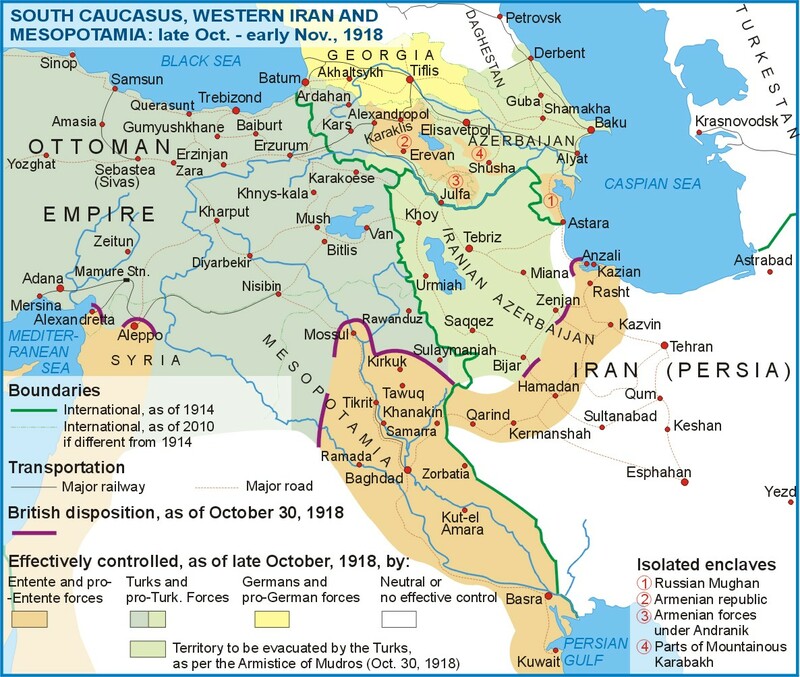 Faisal is informed that the Balfour Declaration means that Palestine is outside his father’s domain, while Lebanon will be coming under French control in line with the Sykes-Picot agreement. The flag of Sharif Hussein, Faisal’s father, can continue to fly in Damascus, but so long as the war continues all formerly Turkish territory will be effectively under British military control.